With the cherry blossoms in full bloom it is a good moment to point out that the standard reference book on Japanese Flowering Cherries by Wybe Kuitert, with Arie Peterse, with a foreword by Roy Lancaster, is now free and authorized available online. Japanese flowering cherries have inspired gardeners for more than twelve centuries. They are closely associated with Japanese culture and found their way around the world since the nineteenth century. Wybe Kuitert provides with this book (first published in 1999) a key work on the subject, which covers their history, geography, botany and cultural significance. 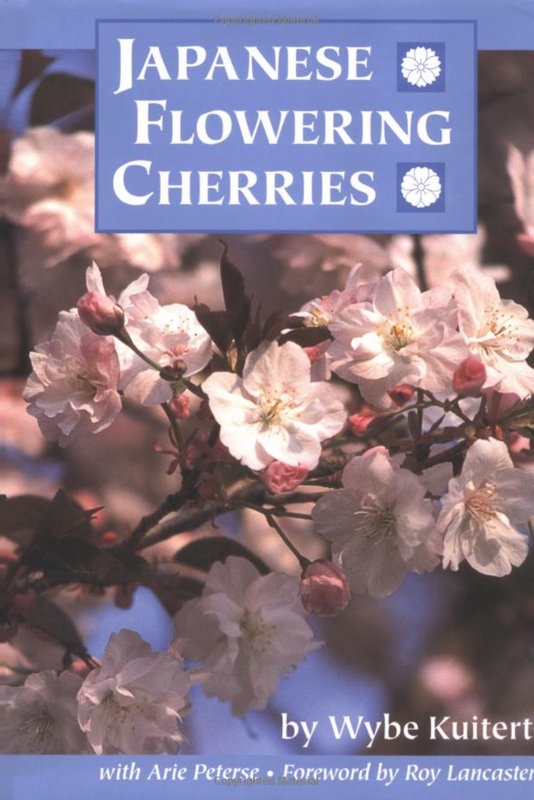 The book clears up long-standing confusions in taxonomy and nomenclature, and provides clear guidance on cultivation and propagation of cherries. The book covers the seven wild species and the hundreds of forms and cultivars of garden cherries. Wybe Kuitert, fluent in Japanese, consulted many new sources that never had been translated into English. The complete botanical key to their classification has been prepared by Dutch plant breeder Arie Peterse. The book assists in clearing up incorrect plant names and long-standing confusions in taxonomy and nomenclature. It is beautifully illustrated with artwork and cherries in flower. It’s a most practical book on the Japanese flowering cherries – as Roy Lancaster writes in the Foreword – which “beauty transcends class and race and touches the should of all people.” Prof Dr Wybe Kuitert lectures at the Department of Landscape Architecture of the Graduate School of Environmental Studies, Seoul National University, Korea. The free version of the book is now available for under this LINK as an online Pdf authorised by the author, via issuu.com.